Sometimes all it takes to brighten up a room is a few leaves. Thankfully in Hawaii our landscape is filled with beautiful foliage, ideal for easy arrangements. Philodendrons are one of our favorites, always in season, they come in dozens of shapes and sizes, and can be found along jungly roadsides and in many backyards. - Choose mature dark green leaves. Soft, light-green, juvenile leaves will wilt. - Keep your water fresh and your arrangement will last for months; it might even sprout roots. - Large leaves pair well with large tropicals like heliconia, while small leaves work well with anthuriums and pincushion protea. 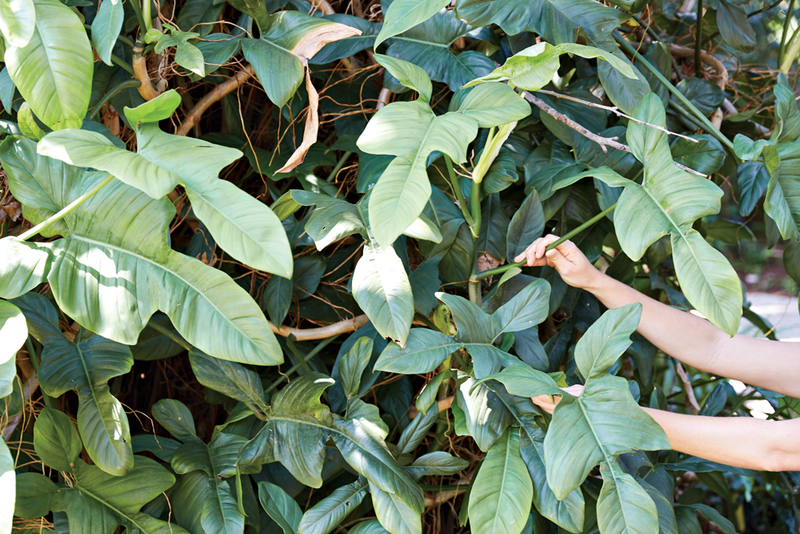 For more tips like these check out our new book 'OHI How to Gather and Arrange Hawai'i's Flora.